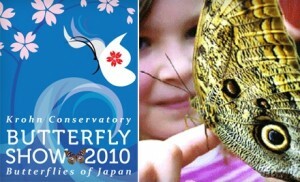 If you’re like me (and many of the FFC staff), you’ve had “Butterfly Show” on your To-Do list for a while now. Turns out waiting was a great idea because Groupon Cincinnati has tickets to the show BOGO FREE today. You can purchase two adult tickets for only $6. According the Krohn’s site, children 5-17 are $4, children under 4 are free. No need to purchase another Groupon for the kids though because Krohn’s site has coupon for $1 off admission for up to four people. So between the Groupon and the coupon, everyone gets to see the beauty of the butterflies for $3 each! Another factoid Groupon hipped me to – the greenery changes three times over the run of the show. So even if you’ve already gone earlier in the season, take advantage of this offer and head back to see what’s new! 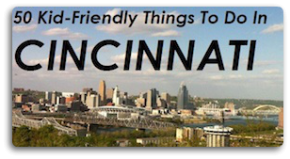 Be sure to follow Groupon Cincinnati on Twitter, as well as Facebook, so you don’t miss a single Family Friendly deal! Again, The Butterfly Show is here daily until June 20th!